Farley Point and Union Bay at Karekare beach. Looking north past Mercer Bay and Te Ahua Point. Waitakere Ranges behind. 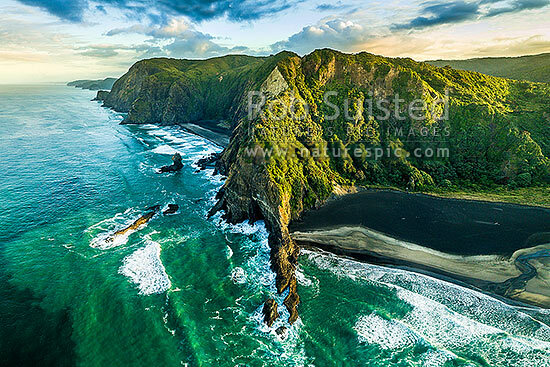 Aerial view, Karekare Beach, Waitakere City District, Auckland Region, New Zealand (NZ), stock photo.